Propeller are a South West based band consisting of Tom Keith (Vocals / Rhythm Guitar) , Lewis Gerry (Lead Guitar / Backing Vocals), Gareth Thomasson (Bass / Backing Vocals) and Adam Drewery (Drums). 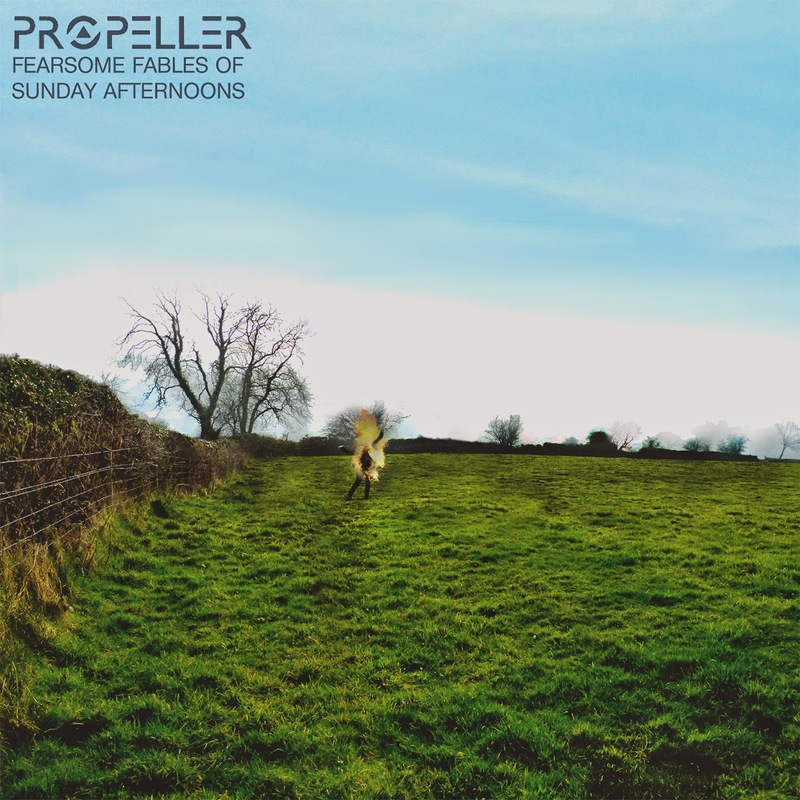 Fearsome Fables of Sunday Afternoons (7/10) is their first EP release. The EP kicks off with "No Matter Where" which features fast paced verses,a laid back catchy chorus, overdriven guitars, foot stomping bass and drums. Special mention goes to Lewis's high backing vocals which suit the song and his amazing solo towards the end of the song; a great start to the EP. "Shine a Light" is the highlight of the EP, a very catchy tune with intricate guitar work, massive riffs, attitude and lead singers Tom Keith's smooth vocals leading the way. The EP is consistently fun with the ska infused "Do or Die" (which hints at the heavier nature of their live performance); the Clash era brit punk of "Dance With Me"and the dirty funky baseline of meandering "Astronauts". Production wise the EP is a little rough round the edges (which adds to it overall charm) and it would nice to hear some more of the harder edge the band bring to their excellent live performances. This is a great summer EP, packed full of charm, bright guitars, abundant energy and catchy songs which will appeal to fans of Artic Monkeys, The Strokes, Biffy Clyro and The Libertines.